Posted: Mon 23 Jan, 2012 12:00 am Post subject: Contest: Choose Your Weapon! Edge Fair is the CASI / Hanwei storefront. They sell both catalog and exclusive items from Hanwei and GDFB, run daily specials, and offer coupons and other savings direct to their customers. If you haven't checked them out yet, please do. They have some items on there that aren't available anywhere else. Last fall, the guys at CASI / Hanwei asked us to choose our weapon and we did! They reached out to the members of myArmoury.com and ran a survey asking for us to vote on items that we'd like to receive as prizes for an upcoming contest. The votes were tallied and the top two picks were sent to me shortly after. I've had the prizes for a couple months and now the time has come to run this contest and give 'em away to two lucky winners! 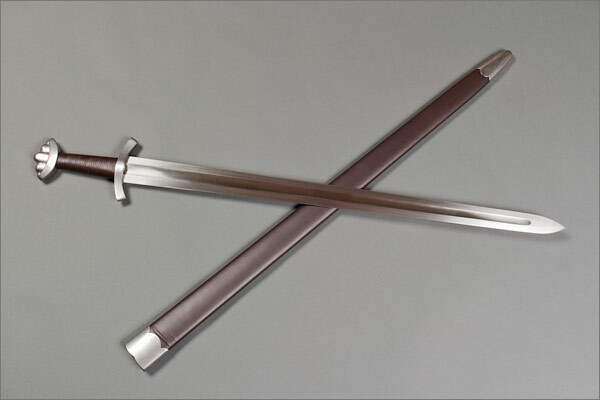 The Tinker Great Sword of War is designed and crafted purely as a cutting sword and, weighing in at a little less than four pounds, it is built to excel on heavy targets. The 11” grip provides excellent leverage and static and dynamic balance are to Tinker’s demanding standards. The blade is again forged in 5160 and marquenched to HRc50-52. The hilt is retained by Tinker’s signature recessed sleeve mounting system, providing secure retention and easy hilt tightening, using the Allen wrench provided. Based on the remains of a sword excavated in Ireland and attributed to the early 10th century, the latest addition to our line of Viking swords has elegantly classic lines, cuts well and handles beautifully. The profile and distal tapers of the blade, combined with the characteristically wide fuller, make for a slightly weight-forward balance, providing the slashing power characteristic of Viking blades. The curved guard and pommel, combined with the spiral leather wrap on the grip, provide for comfortable handling, while the deep brown leather covering of the scabbard and grip wrap make this one of our most attractive Viking swords. Please take a moment to visit the Edge Fair Web site and give these guys a huge thanks for not only giving these prizes away for free, but also asking us all exactly what we wanted. That's a pretty huge deal. Let 'em know. Contest entry is open until Monday February 27, 2012 at Midnight PST. Thanks Nathan for holding these contest, they are always awesome. And thanks Edge Fair for donating the swords. That said, I really want to win the Great Sword of War. Three cheers to Nathan for making myArmoury what it is for contests like this! This is great. Thanks to the sponsors and organisers. Some great looking swords! Great prizes for a contest. I have owned the H/T Great Sword of War and it's a very well made sword, well balanced and great cutter. 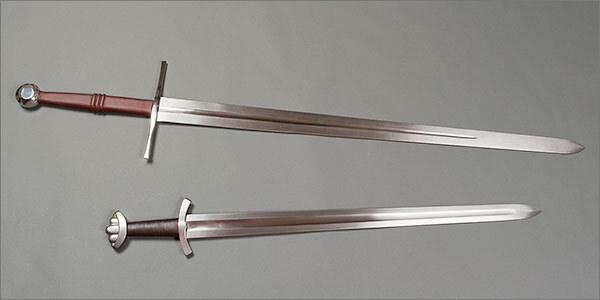 I would really like to own the Irish Viking Sword. Thanks Nathan and thanks to Edge Fair for this great contest. Good luck to us all! Posted: Mon 23 Jan, 2012 9:29 pm Post subject: ooohhh! a tinker great sword of war... wouldn't that make for a nice birthday! Woot that was nice of edge fair. See a few interesting items on there but none of them seems to be in stock. Also, anyone notice where their daily specials are? Couldn't find it...maybe I'm going blind. I'm really liking both of them. 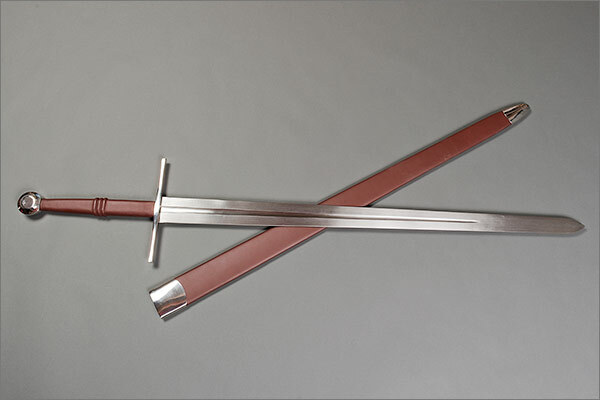 However I've been pining over a viking style sword for years. A chance to win a free sword, you say? Don't mind if I do! Mmmmm....................free swords.............. Thanks Edge Fair! I come back after absence and what do I see? A chance to win something, yay. Good luck to everyone who's entered! Very nice prizes, and good luck to everyone who enters. Good luck to all. Thank you to EdgeFair for donating the prizes! Less than a week active, this contest already has over 350 entries! Thanks for the contest and the prizes! Thank you for this wonderful contest. Good luck, everyone!